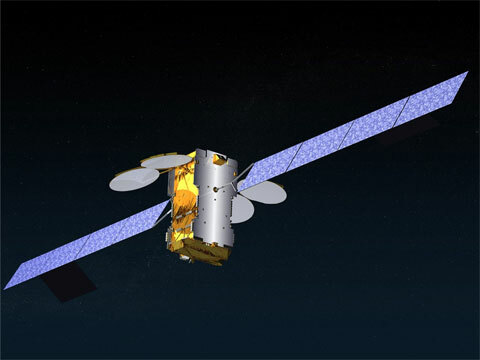 With satellite broadband Internet access set to be available in France in a few weeks’ time, the government recently announced funding for CNES to initiate a research and development programme geared towards very-high-speed broadband satellite services. The Ka-Sat satellite in orbit since 26 December 2010. Credits: Eutelsat communications. 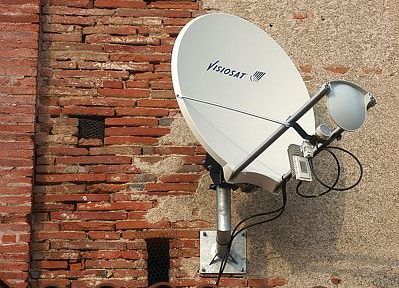 Satellite broadband Internet access in France at a flat rate of €30 a month is now available via the Ka-Sat satellite launched in December 2010 and operated by Eutelsat. In the weeks ahead, service packages offering data rates of 2 Mbps at the price of ADSL are expected to hit the market with the aim of delivering broadband services to the remotest rural areas. But operators and CNES are already working on the next generation of satellites capable of bringing very-high-speed broadband to all. “Today, we are starting to see fibre-to-the-home networks deployed in France to support data rates of around 100 Mbps and satellite services must follow suit to bring higher speeds to rural areas within the next 5 to 10 years,” explains Christophe Allemand, in charge of very-high-speed satellite broadband projects at CNES’s Strategy and Programmes Directorate. Broadband coverage provided by Ka-Sat. Credits: Eutelsat communications. Fibre-to-the-home is central to the government’s drive to deploy very-high-speed broadband nationwide. But, as it is being extended from large city centres to rural areas in stages, it will be many years before optical fibre networks reach companies, government agencies and homes in less densely populated areas. That is why the government is funding research and development work on very-high-speed satellite broadband under its future investment programme for the national digital economy. Antenna for receiving broadband Internet services in the village of Saint-Léon, Southwest France. Credits: CNES/E. Grimault. A budget envelope of €40 million, which could be extended to €100 million if results warrant it, is to be allocated to CNES, which instigated this programme that it now has responsibility for implementing. “We have been working for nearly 2 years now on conceptual studies with industry to design these new-generation satellites,” says Christophe Allemand.